It was a great day at Ballarat yesterday for the stable and for our apprentice Ben Knobel. We took three horses there yesterday and were fortunate enough to come home with two winners. 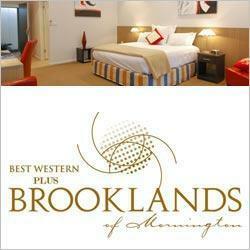 It has been a while since I have been to Ballarat and had that sort of success. Congratulations go to the owners of CELTIC EMPIRE, Barry Coulthard, Doug Jankovic, Ms Suzanne Lucas, Bill Wilkinson, Darren Neil, Ross Coniglione, Shane Tanner & Frank Kavanagh. This horse was bought by us as a yearling, he has now won over $140,000 in stakes and has been a tremendous horse to his owners who have followed his career and enjoyed his victories and no doubt yesterday at $50-1 would have been one of those days that will remain in their memories. He is a horse that has been capable of winning a race nearly every preparation, we have had tremendous fun with him and I think from his run yesterday there are a few more wins in store for him. Congratulations to everyone involved with the horse, to his strapper Archie Odate, and to my staff, obviously when a horse is at this stage of his career, he takes a little bit more looking after, he has got a few more aches and pains and our staff have worked very hard to keep this horse happy and sound and that was why there was a great roar out of the staff room yesterday when he saluted. Also the day finished with a very well deserved win by GALAXY LIGHT, congratulations to Sonia Carboni who we have trained horses for many years and we have a good association with. Sonia bred the mare and had her second win since being with us yesterday. This mare has been plagued with a number of issues throughout her career, the owners have been very patient with her and it was great to see her win yesterday. Although after missing the start she looked to have it all before her, with a brilliant ride from Ben Knobel she did not go around a horse, got up on the fence and was quite strong on the line. 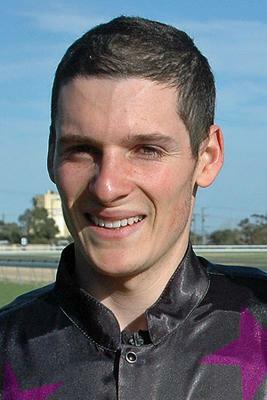 Congratulations must go out to Ben Knobel who had a treble yesterday, two winners for us and one for Mick Price. Ben has been working extremely hard as he always has in our stable, he is a great lad, has a terrific work ethic and is just starting now to get some results and some confidence. He rode both our horses yesterday brilliantly, if it was not for such courageous rides I don’t think either of them would have won. He had a tremendous day and I think it will be the start of what should be a very good Autumn and Winter season for Ben.